Italy has always held in high esteem in the world in terms of fashion, providing the most stunning, innovative, and beautiful fashion designs and styles. 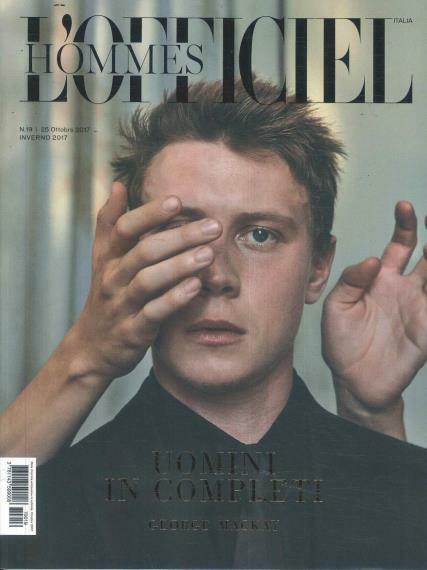 Buy a single copy or subscription to L'Officiel Homme Italian magazine. Every issue of L’Officiels Hommes magazine is packed full of wonderful articles that showcase the latest fashion styles and designs that you can easily apply to your life, while at the same time providing you with advice and tips towards tailored suits, comfortable and practical clothing options for both business and casual, and everything else related to men’s fashion. Additionally, in every publication you will also find heaps of great fitness and health articles, showing you all of the ways in which you can not only look your best, but also feel your best on a day-to-day basis. If you have ever considered changing your style and look, then L’Officiels Hommes magazine is by far the best men’s fashion magazine that you can own.